Once we got the building permit, grading could begin. 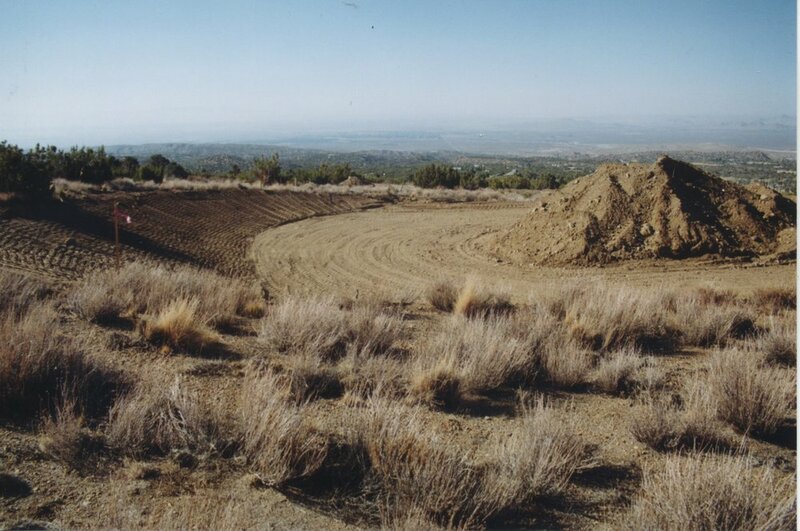 The grading company cut the hill with a backhoe, and formed the pad using a bulldozer and water truck. Because we are on a slope, they cut into the hill on the high side, and added dirt to the low side, but they also did what is called “over ex”. 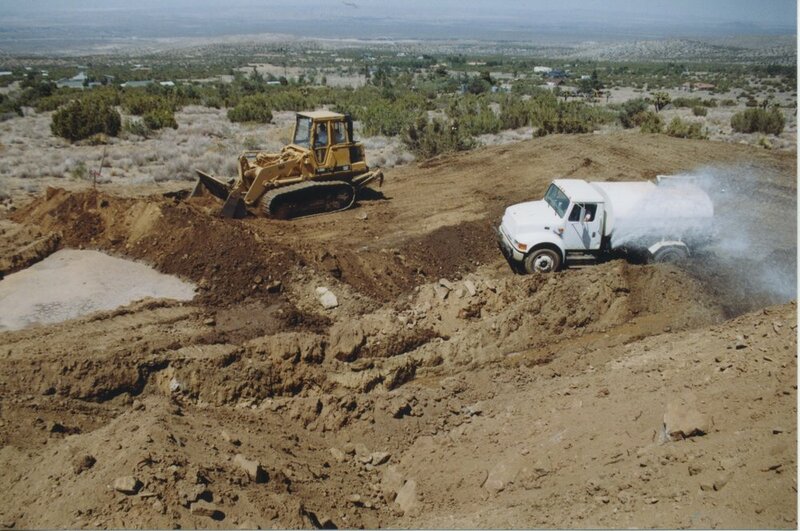 Over ex is accomplished by digging deep down into the original hill and, mixing the dirt with water, re-compact it so that the finished pad is actually wedged into the hill underground. All the dirt they moved is mixed with water and re-compacted. 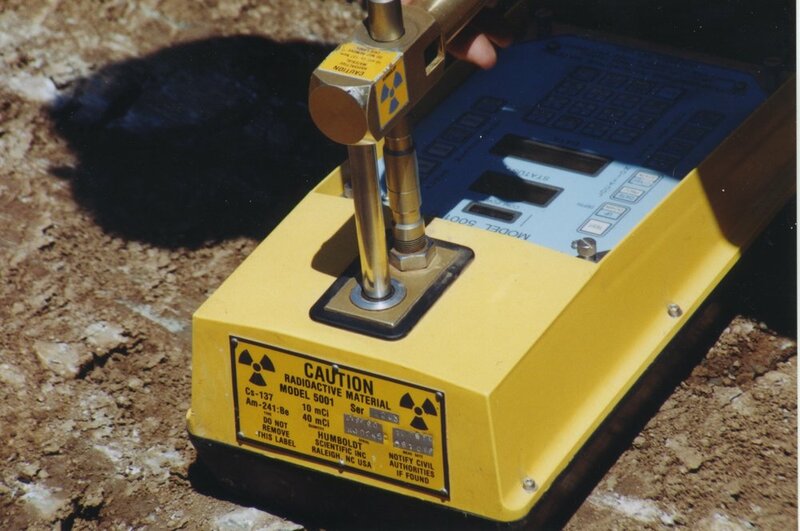 It ends up being extremely hard and has to pass a hardness test to get signed off by the County. It was like the pad was one big adobe block!